As a startup founder, when you’re presenting to investors, it’s okay to be relaxed and less dressed up, especially in the startup community when you’re pitching at a pitch event. Bottom line, you want to look professional and represent your startup well. Don’t over dress and don’t be too casual. Oh, and if you wear a Rolex, make sure you leave it at home. You don’t want your investors thinking you don’t need their money. If you’re coming from the corporate world or have seen some executive-level key note speeches, business professional attire is usually the norm. Wearing a full suit and tie might impress certain types of people, but it has a tendency to not jive very well with the startup community. In fact it might be a turn off, a distraction, or make you feel out of place before you even get started with your pitch. The startup community has many different dress codes and for this reason knowing what to wear can be challenging and confusing. I’m sure you’ve seen various images of the startup founder. From Steve Jobs wearing a turtleneck and jeans, Mark Zuckerberg and a lot of others sporting hoodies, to t-shirt wearing coders throughout the startup space lowering the bar on what is dress-appropriate. It can be confusing and challenging to know what’s right. In general, we think you should err on the side of more casual. It might be uncomfortable for you to show up in a full suit and tie or high heels and a blazer, when everyone else is wearing t-shirt and jeans. In general you want to be slightly more pro looking but not in a way that anyone would overtly notice. It’s OK to wear a t-shirt when it is branded with your company’s logo and color scheme. In fact wearing it can be a great opportunity to give you a little bit of extra branding and extra brand recognition. Keep in mind that this not unique and it might be a little bit overdone lately by other companies sporting their branded T’s. But being a walking advertisement for your company is appropriate in many situations where there are many people involved or around. It’s sometimes difficult to determine when this is the case so look at past events on Facebook or on social media to see what people wore last year. the less dressed up the better. You don’t need to be wearing a full suit. If you’re unsure you can always go somewhere in the middle. Consider a polo for guys, or buttoned up shirt with rolled up sleeves and jeans. for the female founders, you can wear something like a nice shirt but try to skip the buttoned up shirt. Jeans are great to keep it dialed down a notch. You can still look put together and organized, and professional with the right approach to startup casual. With pitch events you do want to go on the side of a little less dressed up. You really don’t want to be wearing a full-on suit. You want to be dressed up a little bit more for the pitching to a potential investor than you would for a pitch competition. But in general we are usually going the full formal route in either case. It depends on the investor group, so look at them and look at what their needs are. When you’re pitching in front of potential investors try to err on a slightly higher level of dressed up. Again, it’s the startup community, you may not be wearing a full suit. It really depends on the type of investor. Dress to impress but impressing doesn’t mean a suit. If you’re talking to angel investor that can be a different scenario. So definitely err on the side of slightly more dressed up when you’re going to talk to a potential investor. It doesn’t hurt in those instances to be dressed up, it really doesn’t. In general though pitch events we don’t want to be full-on dressed up. Usually not a good fit. Be somewhere in the middle. Generally at a pitch event you want to be less dressed up. When you’re pitching to potential investor a little bit more dressed up. Company culture and the general location you’re pitching at will make a huge difference in what you should wear to pitch investors. In addition. try to avoid extremes of over and under dressed. Check out the company culture of the place you’re looking for investment from. It’s important to feel confident and comfortable in your own skin. We pay attention to that more than anything else. If you could only function in a suit, wear that. It’s more important that you are comfortable and yourself. Know the potential downsides like not fitting in, creating unnatural barriers between you and your audience, and just in general looking like a stiff, but if you can’t function and be yourself without it, wear it. And also look at the location you’re pitching in. Venture capital groups in New York or on the East Coast in general will be more used to suits than they will be on the West Coast. Consider being more dressed up in New York than you would be pitching to investor groups in Silicon Valley or Boise. We’ve talked more about suits and ties than shorts and flip flops. Mostly because suits are more likely to be on your radar for what to wear. In general we don’t want to hitting either of the two extremes of over or under dressed. And certainly never show with a tank top and shorts or something like that to a pitch event or investor pitch. This is not a beach party. It’s a pitch event or a meeting where you are meeting investors. You are attempting to get money for your business and you need to be someone to trust and back. You want to successfully strike the balance between some level of professional (which can be on the lower end of professional) and startup t-shirt with logo. We hope that answered your question on what to wear at your next pitch event or investor meeting. Thank you guys so much for joining us. If you have any ideas or thoughts on what to wear at pitch competitions or to investor meetings, maybe even have a picture of what you’ve worn, I would love to hear about in the comments below. It would be super valuable for our audience.  Also, if you have any new ideas for upcoming pitch hacks there’s a link below as well. I’d love to answer your question in an upcoming video. Give us a little thumbs up, or like and subscribe, and you’ll find out more about upcoming pitch hack videos. We put out new pitch hacks every single week so I hope to see you guy here again soon.